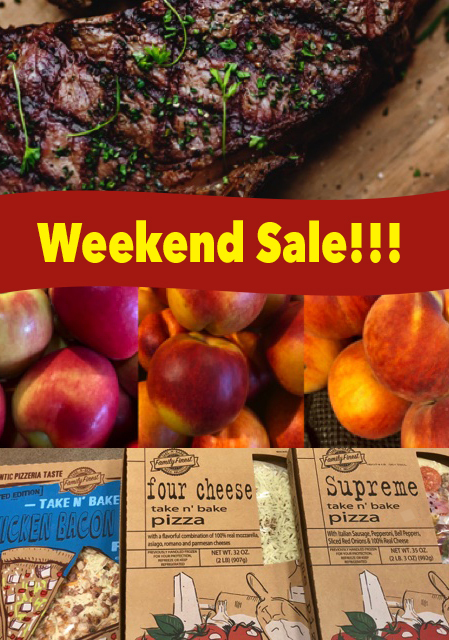 Weekend Specials – Saturday & Sunday Only! St. Helens Top Sirloin Steak, $5.99/lb. Take ‘n Bake Pizzas, $9.99 ea.